Tombow Fudenosuke Brush Pen – Hard Tip, Black Moleskine Updates – Colours! 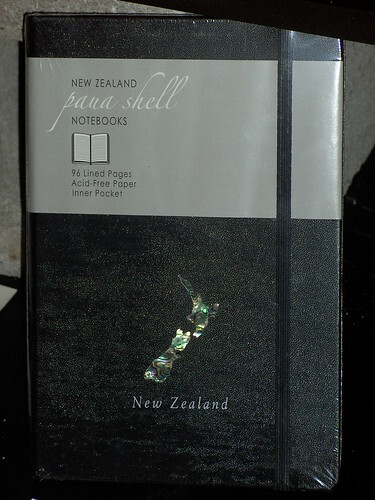 This post is a combined update about why I have been absent for such a long time, and a neat notebook I picked up in my time off. I may have mentioned before that I was engaged. Well, on the 2nd July Patrice and I headed off to the church to get wed. The day was amazing, everything went perfectly and we both had a great time. We went straight from the wedding to the Honeymoon, and we spent 14 days in New Zealand. The only problem with that was we had booked 10 days. Patrice fell ill the night before we were meant to fly out, and we were at the hospital in Dunedin when our flight headed home. In the end, everything worked out, and although we are a little more out-of-pocket for the extra accommodation and had to get back to work sooner than we hoped, we enjoyed our time away. Before the unfortunate hospitalization we headed to Queenstown to see some snow. 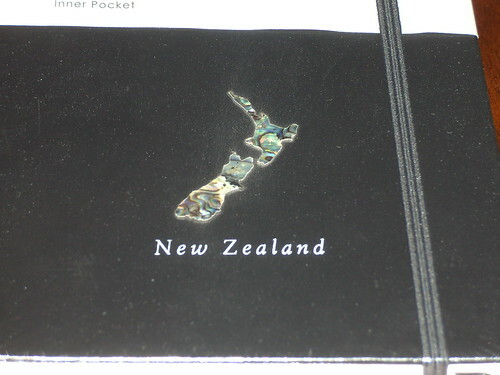 While in a souvenir shop, I noticed something I had to buy; A hardcover, ruled, Moleskine-esq notebook with New Zealand Paua Shell on the cover. It is “Designed, Marketed and Imported” by Hallifax, but it doesn’t have the exact manufacturer on the outside. As it is a souvenir I probably won’t open it, so I won’t be able to do paper tests or a real review. 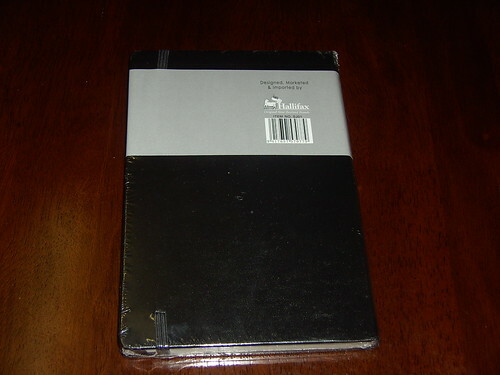 From the outside it’s a solid, hard cover, 96 page ruled notebook. 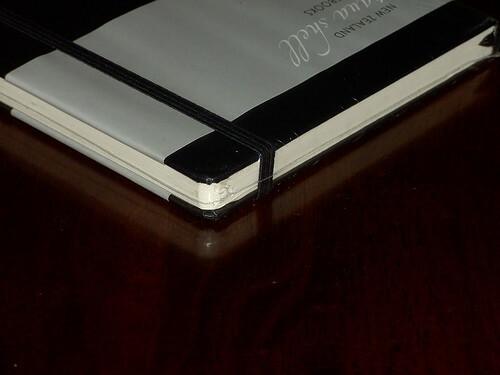 The main differences I can see between it and a Moleskine is the closure strap is a bit thinner (and possibly tighter), and the bookmark is black, rather than grey. The spine also seems to be a bit more pronounced. Overall, it’s a good looking notebook. Hopefully now the house is back in order, and my new wife and I have settled in I will be able to post a few more reviews. If you want anything specific, please comment on the post, and I’ll see what I can do!